The UCC28910 and UCC28911 are high-voltage flyback switchers that provide output voltageand current regulation without the use of an optical coupler. 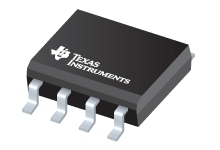 Both devices incorporate a 700-Vpower FET and a controller that process operating information from the flyback auxiliary windingand power FET to provide a precise output voltage and current control. The integrated high-voltage current source for startup that is switched off during device operation, and the controller current consumption is dynamically adjusted with load. Both enablethe very low stand-by power consumption.